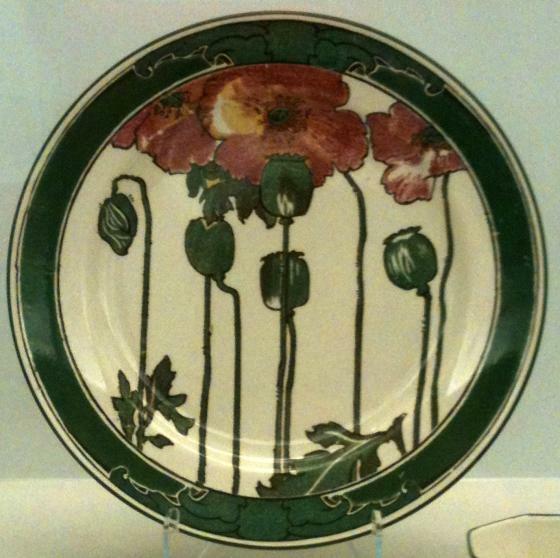 Introduced in 1909, Doulton & Co.'s Poppies B pattern reflected the Arts and Crafts fashion for stylized floral ornament. Available in three colors - pink, yellow, and blue - the pattern remained in production until 1942. Charles L. Venable and Tom Jenkins, China and Glass in America: From Tabletop to TV Tray (Dallas, TX: Dallas Museum of Art; New York: Distributed by H.N. Abrams, 2000), 454.